Not being the biggest fan of the "West Coast IPA", I've been surprised by how much I've been converted to the "New England IPA" style. Maybe it's the closeness in texture to wheat beers that I love, or that, in the best examples at least, the hop/fruit balance stops either becoming too dominant. All of which brings us to the Road Soda by Battersea based brewery, Mondo. 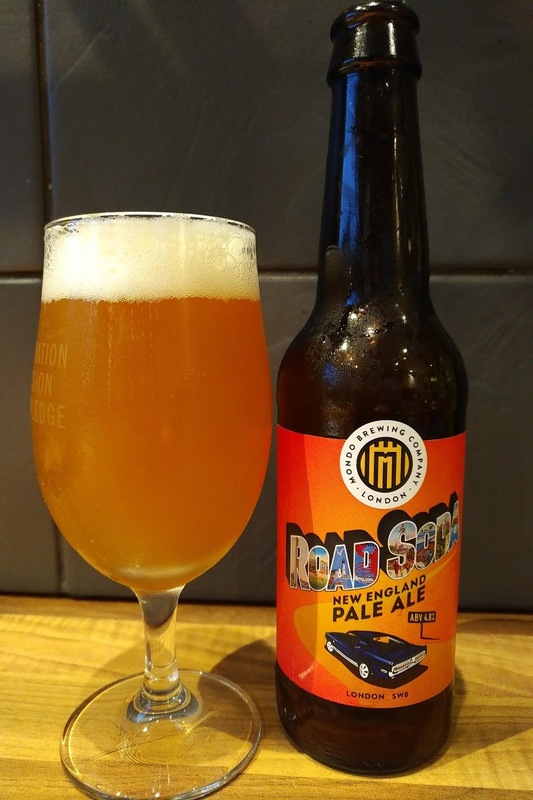 The wheat and oats in this deliciously smooth beer give that lovely mouthfeel, and the aroma is the perfect balance of hoppy tang and fruity sweetness. The taste is refreshing and balanced with neither too much bitterness or sweetness.